The concession stand may have been part of the original 1905 bandstand. The bandstand at Firemen's Park appears to be built sometime in the mid 1950s. It is similar in design, size, and materials to that of the one in Veteran's Park in downtown Waterloo which was renovated in 1955. 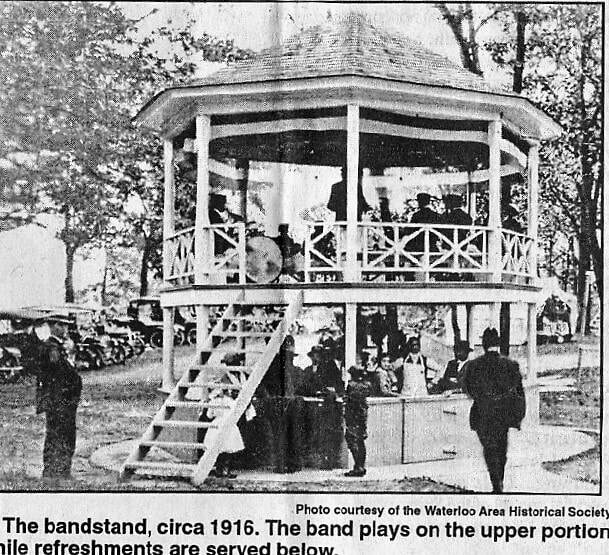 Prior to this bandstand, there was one built in 1905 in downtown. One local source, in a book by local historian Dorothy Jensen reports it cost $50 while Gus Hagel reported it was $200 (Watertown Daily Times, 7/19/1984, Section 3, "Waterloo Celebration 15th Birthday"). William Zibell was paid $50 to move it to the park. It was two-stories - the band played in the upper level and concessions were sold in the lower one. Concerts are held every summer season. Often the Waterloo City Band plays. Firemen's Park was originally created in 1905 by local farmers and city residents wanting a park for baseball and picnics. It was designed by Hugo Zibell. It is located along the Maunesha River and encompasses 60 acres. It is considered one of the oldest parks of this type in the country. 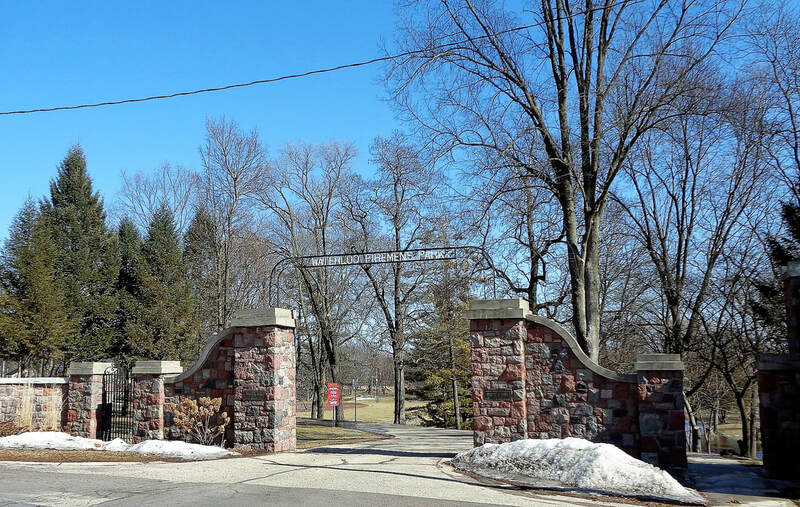 In 1931 a stone entrance and ticket office was built by John and Albert Quade, Ed and William Blank, and William Behring. It offers baseball and softball fields, disc golf, a playground, bike path, an Historic Carousel, walking trails, and more.